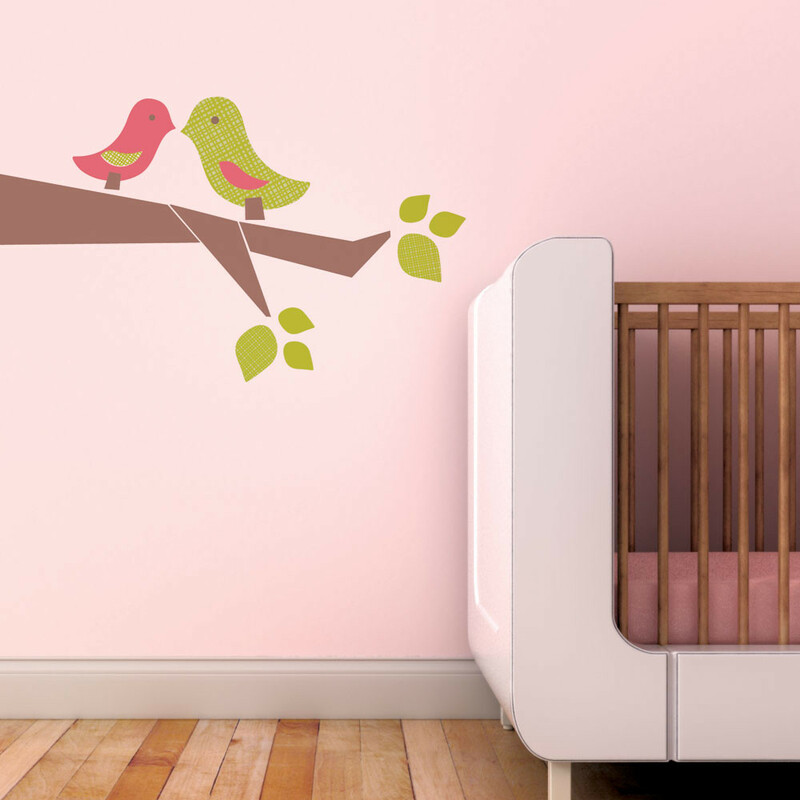 1 Love Birds - Leafy Dreams Nursery Decals, Removable Kids Wall Decals-Stickers SALE NOW ON! 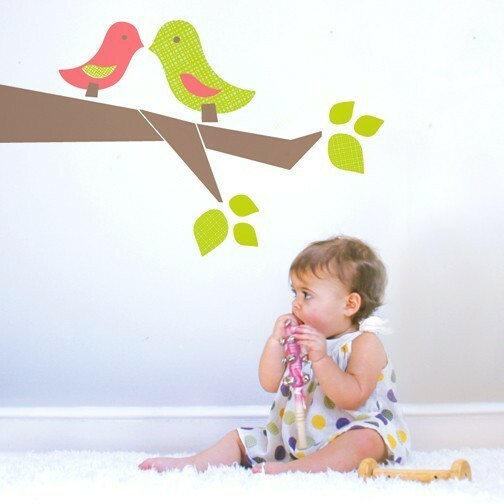 Bring the beauty of nature inside with this modern and playful wall decal featuring two love birds on a tree branch. 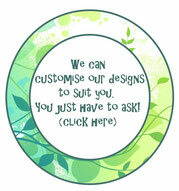 This wall decal is perfect for the modern nursery or toddler room. 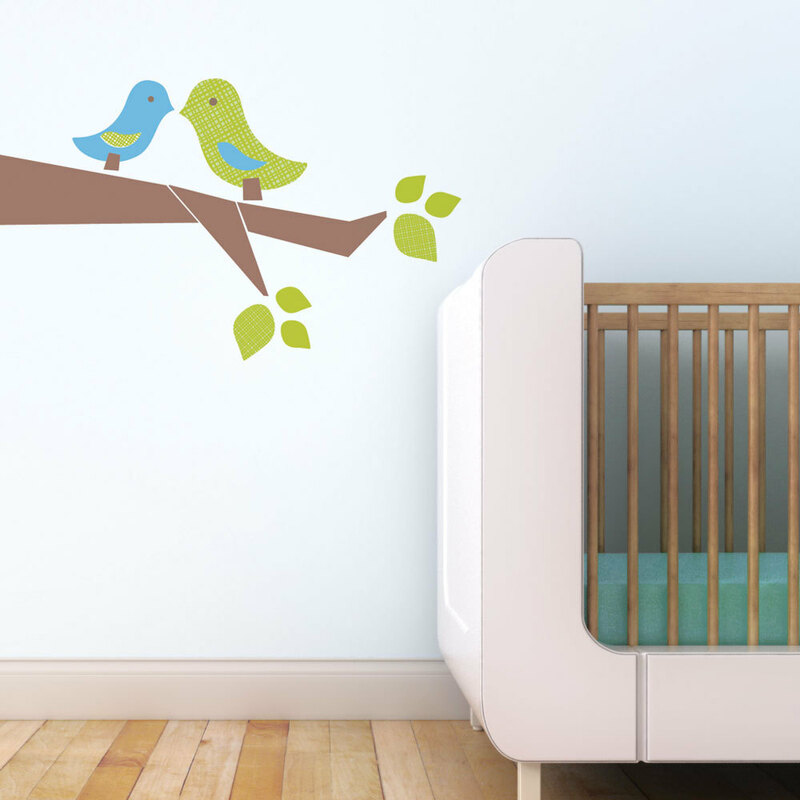 Perfect for smaller spaces above cots, beds, a chest of drawers or change tables. 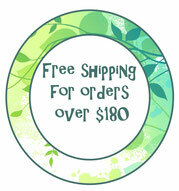 Approximate size of finished piece: 34 inches x 21 inches (86.4 x 53.3 cm).